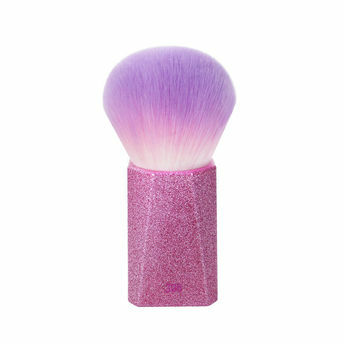 The Real Techniques Brush Crush 306 is ideal for an even powder application. The large, rounded cut easily sweeps bronzers and highlighters across the face, neck, & décolletage. Inspired by the latest holographic, pastel and glitter trends, this limited edition has been developed in collaboration with makeup artists and vloggers Sam and Nic.